Aurora Airlines, the smallest of Aeroflot Group’s four subsidiaries, reports that its 2018 operational results improved by five per cent over the previous year. The airline, which serves Russia’s far eastern regions, carried some 1.623 million passengers, thereby retaining its 14th place status in the ranking of Russia’s largest passenger carriers. Of its total traffic, 75 per cent travelled domestically, with the remaining 405,000 using the airline’s international routes, repeating 2017’s pattern. Aurora’s revenue-passenger-kilometres (RPKs) also increased by five per cent to 2.49 billion, while the number of flights remained roughly level at 24,370, of which 18,875 were domestic services. Consequently, its block-times also remained the same at 45,663 flight hours. The airline carried 8,348 tonnes of freight and mail in the period. Aurora’s fleet remains the same. The IOSA-approved carrier currently operates 24 aircraft – 10 Airbus А319s, 11 Bombardier DHC-8s and three de Havilland DHC-6s. 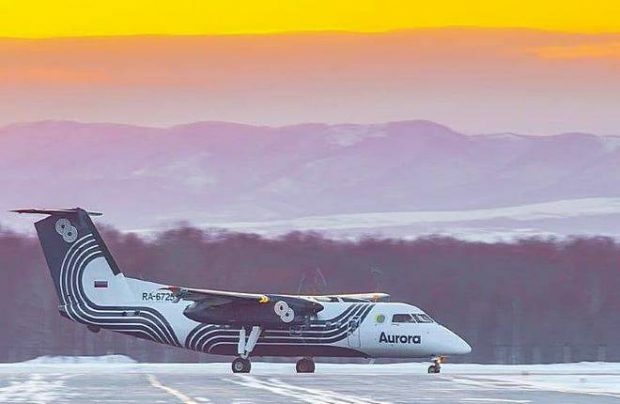 Aurora Airlines, which is 51 per cent owned by Aeroflot, with the remaining 49 held by the administration of the Sakhalin region, was founded in 2013 by the merger of faltering local carriers SAT Airlines and Vladivostok Avia, in response to a government order. Last year the regional carrier launched new routes between Dalnerechensk and Khabarovsk, and Nikolaevsk-on-Amur and Khabarovsk, and also resumed scheduled services between Yuzhno-Sakhalinsk and Tokyo.